Faceted Gemstone elastic waist belt brown. 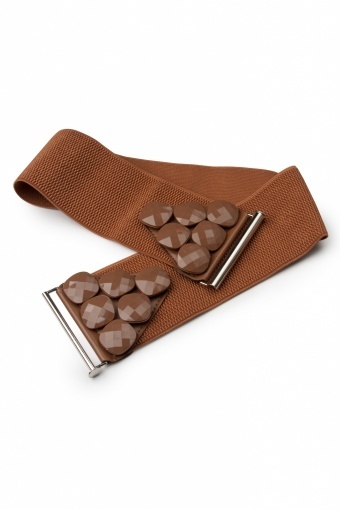 Brown elastic waist belt with sixties faceted acrylic gems. Also available in ivory and black.